Looking north from the Brixham Road in July 2009. Churston Station is immediately behind the photographer. The line curving towards the left of the picture is the main line to Paignton. 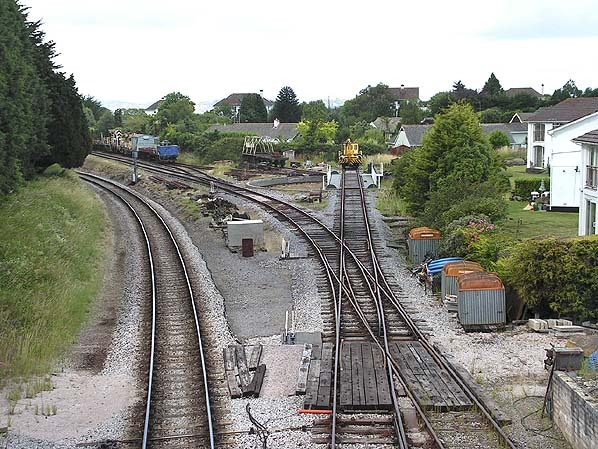 The line leading onto the turntable is the Brixham Branch. Beyond the yellow crane the route of the line is now obstructed by houses. The turntable was installed in 1981 having been moved from Goodrington.